Categories: Miscellaneous Games And Novelties, Stripper Poles. Party Supplies & Games. 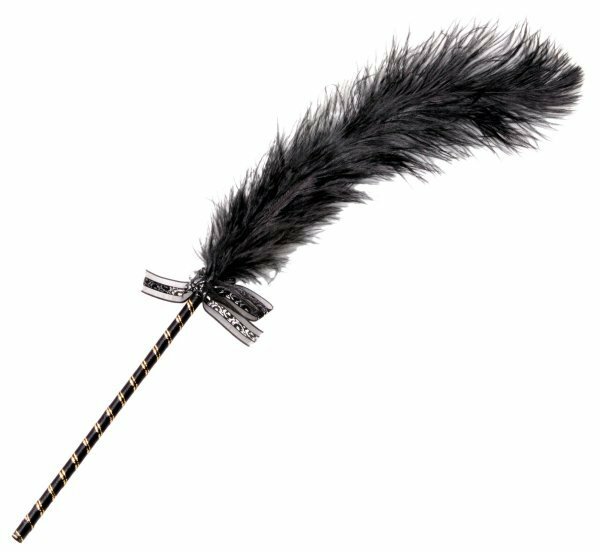 Allow your inner tease to come out with this elegant little ostrich feather tickler. The fabric wrapped handle is topped with a sweet bow with a crystal set into the center. The delicate whisper soft sensations are sure to stir up some sensual cravings in your partner as you run it over their lips, throat, chest, belly, feet…anywhere!